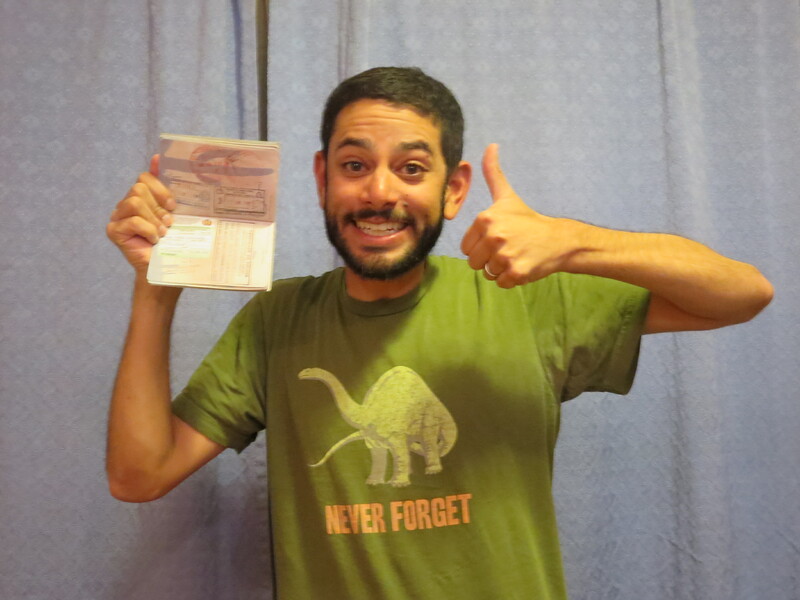 The Trials and Tribulations of a Bolivian Visa « Why did you click here? Visas can be a pain. The following is a not terribly exciting but more frustrating account of a multi-nation attempt to obtain one for Bolivia. I hate visas. Really, it’s one of my four most hated things on this planet, along with mosquitos, the Cowboys, and genocide (in that order). So before undertaking our trip, I did my research to ensure we (re: I) wouldn’t run into any issues. Luckily for Christine, her Brazilian passport absolves her of all such concerns, in addition to the financial burdens associated with the right to enter various South American nations. Of the countries we were likely to visit, Argentina, Paraguay, and Bolivia required paperwork. Argentina was easy enough – I just had to pay a $160 ‘reciprocity fee’ online (most of the South American visas derive of a similar revenge motivation, in which high fees are imposed on US citizens who wish to enter, are in return for the increased fees the US imposed on their citizens entering America – can’t say I blame them honestly and the visas are multi-entry long term affairs, but it still occupies a healthy chunk of the trip budget). Paraguay’s visa could not be arranged on arrival, so I took care of that one at the embassy in Washington D.C. prior to departing. That only left Bolivia. According to all the information received, the visa could be arranged ahead of time for $160, or on arrival at both land borders and airports for $135. There is always a greater sense of security in obtaining the visa ahead of time, knowing that you won’t be turned away from the country, so it is generally one of the few things I try to plan in advance when traveling (except in the case of West Africa, as the Shark Force Five can attest to). Especially at random land borders which can be subject to the whims of whoever is manning the border at that particular point, having the visa in advance gives you so much more leverage. But given that the paperwork at land borders can be significantly lighter than going through an embassy, and that the Bolivian visa was actually cheaper on arrival, it seemed a no brainer to worry about it later. When we arrived in Asuncion, Paraguay, I started to change my tune a bit. I read on a blog one horror story of an American girl who was turned away at the border (though I couldn’t exactly figure out why), while others we met who had come from Bolivia did not put too much faith in officials working the border we wanted to cross. The main issue is that we were planning on crossing into Bolivia from Paraguay via the Trans-Chaco route, which is 24-30 hour bus ride across a sparsely inhabited and harsh area (dubbed the ‘Green Hell’ by the Mennonites who went to settle there in the early 20th century). There are no real major urban settlements and only one road (which is just paved on the Paraguay side). The schedule of the daily bus ensured we would arrive at the Bolivian border around 3am, and the prospect of being turned away because the official on duty was cranky at still being awake that late in the evening, and thus being forced to wait hours for the one daily bus all the way back to Asuncion, seemed perilous enough that a little extra effort now to avoid such potential issues seemed like a good idea. Unfortunately we didn’t really have the time in Asuncion, so we resolved just to go ahead with the border process – it’d be an adventure at least, and that’s what we were here for. We headed out to the Chaco, spending a few days in and around the main “settlement” of Filadelfia. While there I thought it might be a good idea just to call the embassy to double check one more time (you can sense the unusual level of anxiety I have with regards to visas, can’t you?). This call happened to take place on 02 June. I called the Bolivian Embassy in Asuncion, and surprisingly they actually answered the phone (before I had to call the embassy in DC each time to get a response, since apparently other regional embassies or consulates obtained phone numbers without installing actual phones in their offices). Of course, this phone call may have saved me in one respect, but also gave us a whole lot more trouble. Apparently as of 01 May, the policy for US citizens had changed, and they were no longer able to obtain visas on arrival. Fortunately, however, there was a grace period of one month, meaning that US citizens could still get their visas all the way up to 01 June. Unfortunately, however, the aforementioned date of my call occurred on 02 June. That call initially gave us little recourse but to return to Asuncion and spend 4-5 days taking care of the process. A bit dejected at the prospect, I began to search around for alternatives. We had really wanted to cross from Paraguay to Bolivia as it’s an infrequently traveled land route (perhaps for a reason). 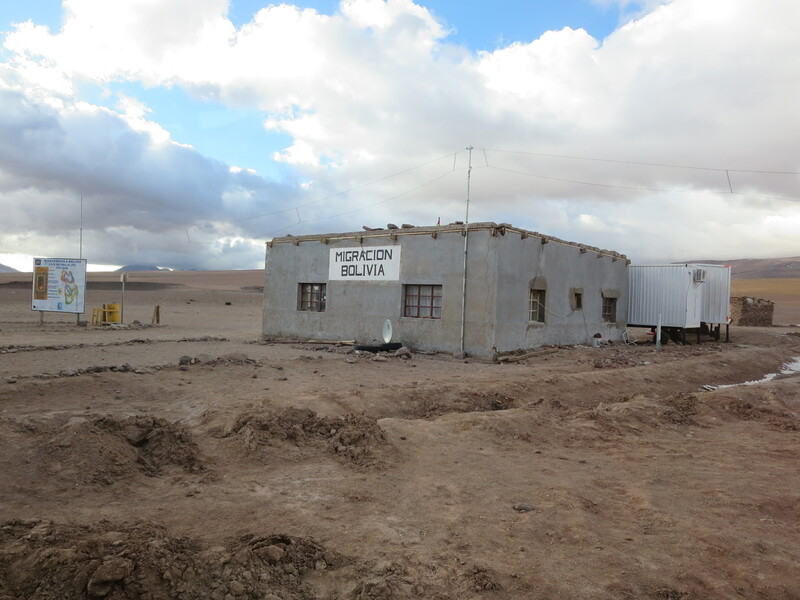 But I discovered that in northern Argentina alone, there were four Bolivian consulates, given the number of Bolivians who migrate for work in their more prosperous southern neighbor. A quick call to the embassy in DC, given that those consulates and other regional embassies reverted back to their practice of brain cancer prevention by avoiding phones, confirmed that consulates would be able to issue visas as well. We kept calling around some more and the consulate in Jujuy finally answered the phone. The man on the other end had no idea if his consulate wielded such visa-issuing power, but he asked someone else who confirmed what the DC embassy had already confirmed (for visa issues, I seek double confirmation!). 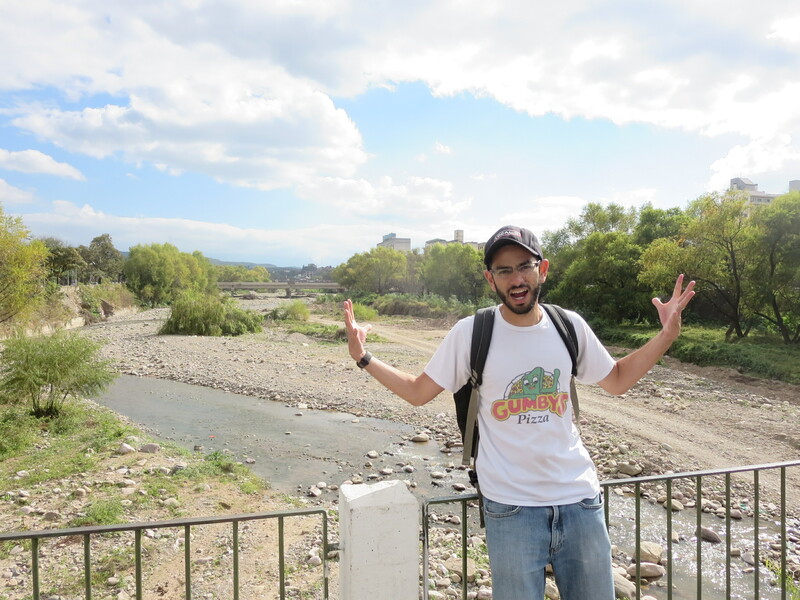 That meant no more Asuncion, we were headed to northern Argentina! 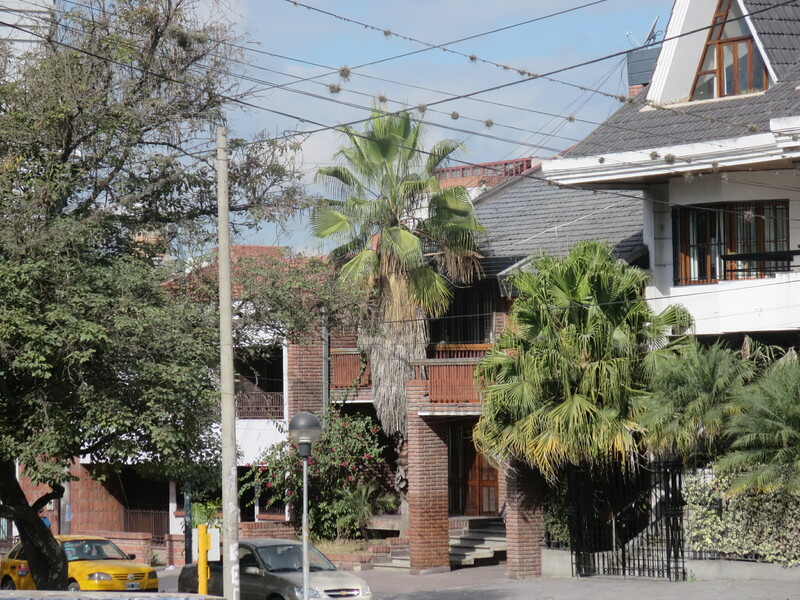 There are really worse places to be stuck trying to get a visa, but we hadn’t planned on visiting the northwest of Argentina, so we tried to spend as little time as possible on the actual particulars of obtaining the visa. We arrived in Salta, where there was a consulate, a bit after 9am. Quickly dropping off our bags, we found an Internet café where I could print all my documents and ran over to the consulate, getting there at 10:30am (not bad considering 14 hours prior we were far away in the town of Resistencia, waiting over two hours for our bus to arrive after suffering a mechanical problem, which also caused it to break down once during the overnight journey). My biggest concern was that the consulate was for some reason going to say it didn’t have the power to issue the visa, and we’d have to take a long road to embassy in Buenos Aires. As we ran over, I was nervously envisioning such scenarios, and anticipating what our next move could be in the forever legendary chess match that had become me versus a Bolivian visa. At a loss of what to do, I remembered there was a consulate in the town of Jujuy, about two hours north. I asked if they would be in possession of these precious stickers – “yea, they might.” Might, could you call your colleagues to inquire? No, he gave us the number and recommended we called instead. At the very least he could give us the address of the Jujuy consulate since it was clear at this point we were just going to have to go in person and try our luck. He debated with another consulate worker to ensure we got the “correct” new address, the only of our incredibly complex requests to which he was able to fulfill (somewhat – a little bit of foreshadowing here). 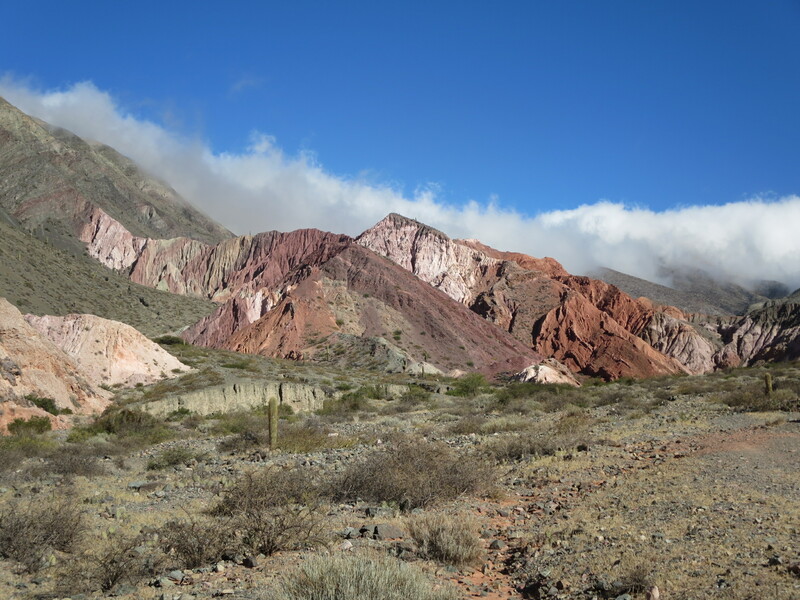 So we were going to have to go to Jujuy, which wasn’t such a bad situation as it was on the way to Tilcara, a pretty town we were planning on spending a night before heading to northern Chile. But really, all because of a lack of stickers?? (I even offered to let him use my own collection of Hello Kitty stickers circa 1989 that I always travel with, but he insisted they were not yellow enough). It was a Monday, and we figured it’d be best to leave tomorrow and try to take care of this visa situation as quickly as possible, since we had a bus ticket to Chile for Friday morning. We went down to the terminal in Salta to buy our bus pass in advance for early tomorrow, so we could still get to the consulate to allow for plenty of visa waiting time before it closed around 11:30. We found plenty of buses that go north of Salta along the route to Jujuy, with some leaving early enough in the morning. This would be pretty easy logistically, as according to Google Maps the Bolivian consulate was a convenient 11 minute walk from the bus station. However, it was odd that each time we actually tried to buy a ticket, the attendants said they weren’t going tomorrow. That was fine as there were plenty of companies, so we kept asking each one and kept getting the same response. Finally, frustrated, I asked one of them why not – he politely explained to me what was apparently obvious to him and everyone else in this country already – there was a nation-wide 24-hour transport strike in Argentina, that just so happened to be scheduled for tomorrow. 24-hour transport strike . . .
Fitting, with all transport halted (and routes likely to be blocked by protestors even if you took a private vehicle we were told), there was no way to get to the consulate in Jujuy tomorrow, another day wasted in what was quickly becoming an extraordinarily elusive Bolivian visa hunt. We waited out the transport strike on Tuesday in Salta, and arrived in Jujuy early Wednesday morning instead. Again, not a huge deal as it still left us some time, but these comical obstacles were mounting up. 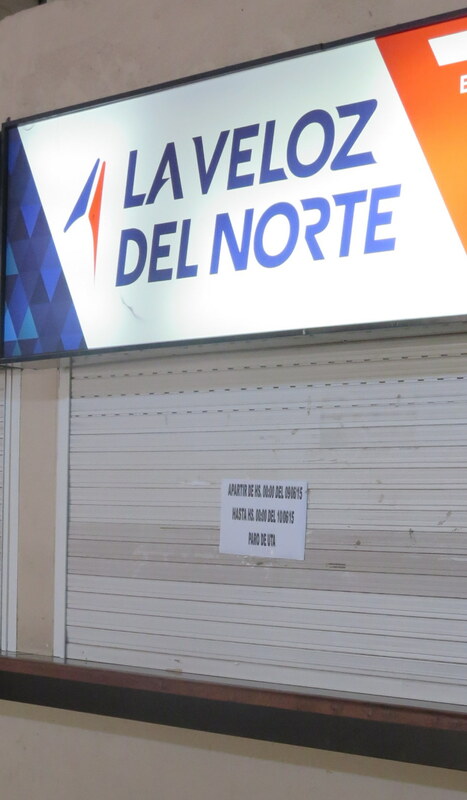 Of course though, upon arrival in Jujuy on Wednesday morning, we discovered the bus terminal was nowhere near the consulate as Google Maps had promised. The terminal itself was actually a few kilometers out of town. Our bus was a bit later than expected, so we got to Jujuy after 10:00. We needed to make it to the consulate before 11:30, so eschewing normal procedure, we jumped in a cab rather than take a public bus. Of course (sense a theme here?) we hit serious bumper-to-bumper traffic, to which our cab driver expressed much chagrin, as in all his years driving around this town there was never a traffic jam at 10:30am. Turns out the main road was blocked by some (non-transport) protestors, who for reasons still not determined, had gathered around this one fancy-looking house that was heavily guarded by police folk. It looked like an intense stand-off, with many of the protestors waving signs with imprints of Che Guvera on them, but we didn’t have time in investigate. Going anywhere in a cab at this point was futile – we jumped out and decided to run past the protestors to the consulate instead. At this point, I was convinced there was a higher power at work that so desperately did not want me to visit Bolivia. Perhaps it was for my own good, or perhaps Bolivia just wasn’t ready for me. Either way, there was no way this entire series of events could be just mere coincidence. It was about a 15-minute jog across the town of Jujuy, which is actually quite pleasing to the eye. At any rate, we made it to the address given to us by the consulate in Salta. When we had showed that address to our cab driver and told him we needed to get to the Bolivian consulate, he said he thought it had moved a few blocks away. I normally trust cab drivers since it is their profession to know where things are located, but we had just received this address yesterday, and I foolishly believed that the incompetence of the Salta consulate would not extend to such basics like knowing where its sister office two hours away is located. Getting frustrated amongst the lovely backdrop of Jujuy! We arrived at the given address, and it was a broken, seemingly abandoned building, with the outside gate locked. The door 20 feet in front of us was cracked ajar slightly, so we yelled out, with nary a response. This clearly was not the consulate. Thank goodness that our cab driver had been well informed (we got something out of paying him to drive us barely anywhere) – so we scoured around the next few blocks looking for a Bolivian flag. Luckily we found one without too much trouble, just two blocks over and up. But I was again left wondering, what exactly is going on with the Bolivian consulate in Salta? No matter, we made it. It was about 11:00 now, so we were cutting it close especially since there was a line, but we were officially in the building before close. Smooth sailing from here I figured. Our documents were reviewed by a man sitting at a desk in the waiting area, who instructed us to wait for his female colleague in an office next door. I figured she would be the one to issue the visa, so I began to relax a bit. We waited about half an hour while she dealt with some others, before calling us in. We tried to sweet talk here about Bolivia and our plans to visit her beautiful country (stressing the beauty part and leaving politics aside), which I think worked to a degree. She seemed genuinely interested in our travel plans, even putting in a plug for her hometown. A young, fashionable lady in her mid-30s, she explained that she was a traveler herself and recounted some of her own journeys in South America, establishing that she understood our frame of mind. Eventually she said everything was in order, and I thought she was on the verge of issuing the visa (we had made sure she had stickers in her possession!). Buuuuut there was one little problem – she actually didn’t have the authority to issue visas, and the vice-counsel had randomly left this morning and didn’t tell her when she was coming back. No big deal, we can wait her out I said. So we returned to waiting area, hoping this main lady would return from wherever she was soon. We got hungry, so Christine went out to search for empanadas around 12:30. The consulate actually closed at 1:30 instead of 11:30, so that gave us some more time. Around 1:10, the fashionable lady came back over explained that the vice counsel was probably not returning, so we would have to wait until tomorrow for the visa. We had been on good terms with her, so I politely said that wasn’t going to work as we were leaving for Chile tomorrow (emphatically despite my complete lack of leverage in this case), and tried to push her for action by reminding her that we had been trying since Monday to get this visa (given the sticker incident in Salta, the transport strike, and now the mysterious and unexplained absence of the vice-counsel during the already abridged working hours of the consulate). I think she truly felt bad for us, but explained there wasn’t really anything she could do. I hoped to guilt her into calling her boss by explaining our situation over and over, but did not overtly make such a request, as it seemed clear that she was not in a position to question her superior. I finally said it was fine, it wasn’t quite 1:30 yet, so we could wait in the small hope that the vice-counsel would somehow materialize in the next twenty minutes. I think our resolve surprised her somewhat, and she retreated into her office. A few minutes later we heard her talking on the phone. Lo and behold, just before 1:30 the vice-counsel lady strode in, and the fashionable lady greeted her immediately with my visa application. They talked it over themselves and then approached me. The vice counsel lady said it was normally at least a 24-hour process to issue the visa, but they would make an exception in this case, and I could pick it up at 4:30 this afternoon. I couldn’t believe it, it was really happening! While we were waiting I had began stewing internally a bit, and decided if I did not get my visa today after so much effort, Bolivia was going on my blacklist of countries (of which India currently is the only one, having been denied a visa there previously). While Bolivia may not have be fully aware of existence or even the ramifications my list, as the fate of India since 2005 can attest, no country should want to be on the list. Teetering so close to the edge, Bolivia was saved by the timely intervention one of their saintliest citizens, who clearly called her boss in defiance of local customs, and told her to come back to work for us. We came back at 4:30, I gave them $160, and they gave me a visa. It was legit, with a (non-Hello Kitty) sticker and everything. We thanked them, especially the fashionable young fellow traveler lady profusely, for without her I probably would’ve given up on the country in anger. It was about two weeks of a classic chase in the making, replete with some very random circumstances, but I got me a Bolivian visa! Post script: Of course, all of this was for naught. Despite the Bolivian Embassies in Washington D.C. and Asuncion informing me that it was no longer possible to obtain a visa at the border, that proved not to be true at all. At least in northern Chile, where many tour agencies operator cross-border excursion from northern Chile to the stunning salt flats of Bolivia, I could’ve definitely obtained a visa at this shack. Just goes to show you, when it comes to visas, no one really knows what they are doing (myself included)! This entry was posted in South America Trip and tagged Bolivia. All part of the journey!!!! !